The Common Core College and Career Readiness Anchor Standards for Reading states that students should "read and comprehend complex literary and informational texts independently and proficiently." Use your classroom library to help your students develop independent reading skills by getting books organized into reading baskets. 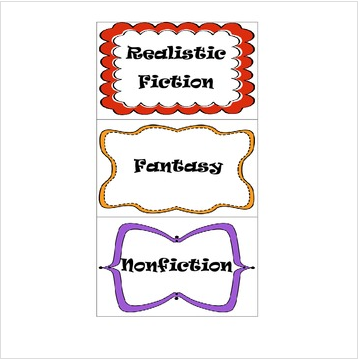 These labels can be attached to book baskets and make it easy for students to find books they are interested in reading. 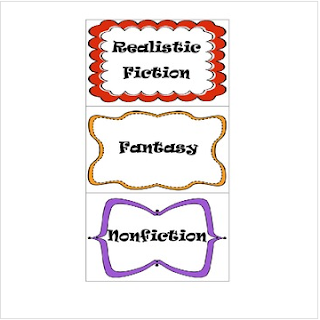 Labeling your baskets will also help you keep your library organized. I value your feedback! It helps me determine which products are most valuable for your classroom so I can create more for you. • To do that, look for the green star next to my store logo and click it to become a follower.